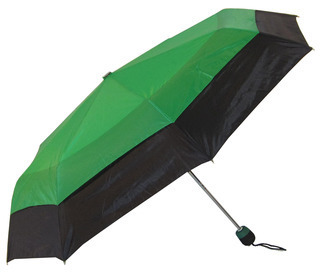 A folding umbrella for the handbag. In bright colours with matching colour handle. Great for the races or promoting your brand. Vented to withstand those gusty winds. Construction: 3-section steel shaft, steel ribs, matching coloured foam handle. Decoration types: Screen print, digital print.